In den letzten Tagen war es hier ja sehr ruhig, überhaupt habe ich im April sehr wenig geschrieben. Ich vermute, dass es diesen Monat nicht sehr viel besser wird, da ich viel unterwegs sein werde, aber zumindest für jetzt habe ich einen neuen Post zu einem wirklich wundervollen Lack für euch! I know it's been very quiet here for the last few days! Well, all the last month I have been busy and I'm afraid it won't really change this month either. I will be doing lots of things with friends, but I'll try to get some posts ready for you! Anyway, here's a new polish. And you HAVE to check it out! Dieses Schätzchen heißt, wie ihr euch sicher schon denken könnt Chromeo & Julia und ist aus der Luxury Lacquer LE von Catrice. Ich musste ihn unbedingt haben und habe zum Glück so tolle Freunde, die immer an mich denken. Bei mir gab es den nämlich mal wieder NICHT. 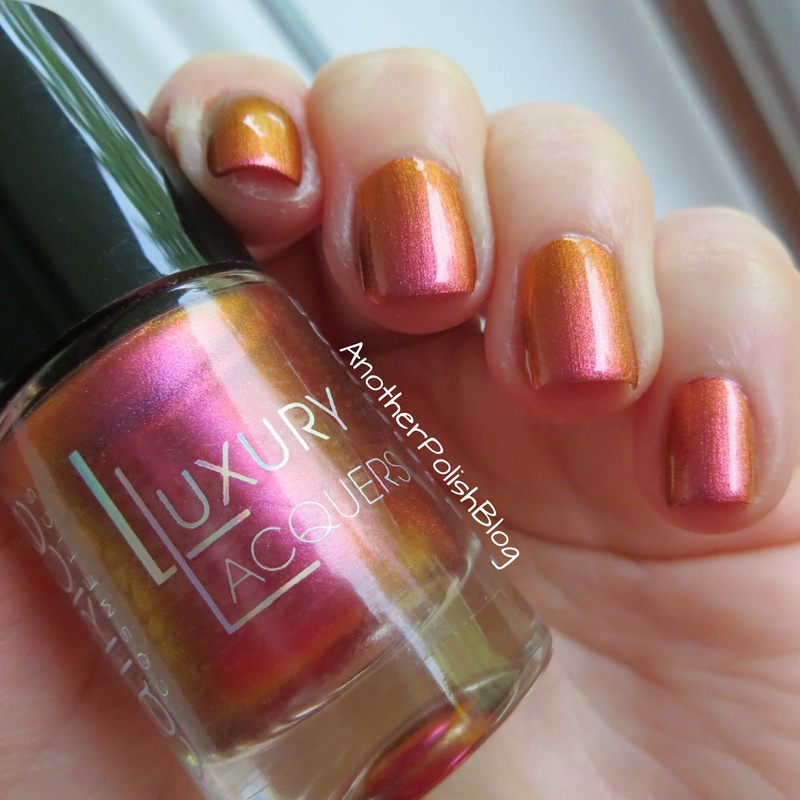 This little gem is called Chromeo & Julia and was a part of the Luyxury Lacquers LE by Catrice. 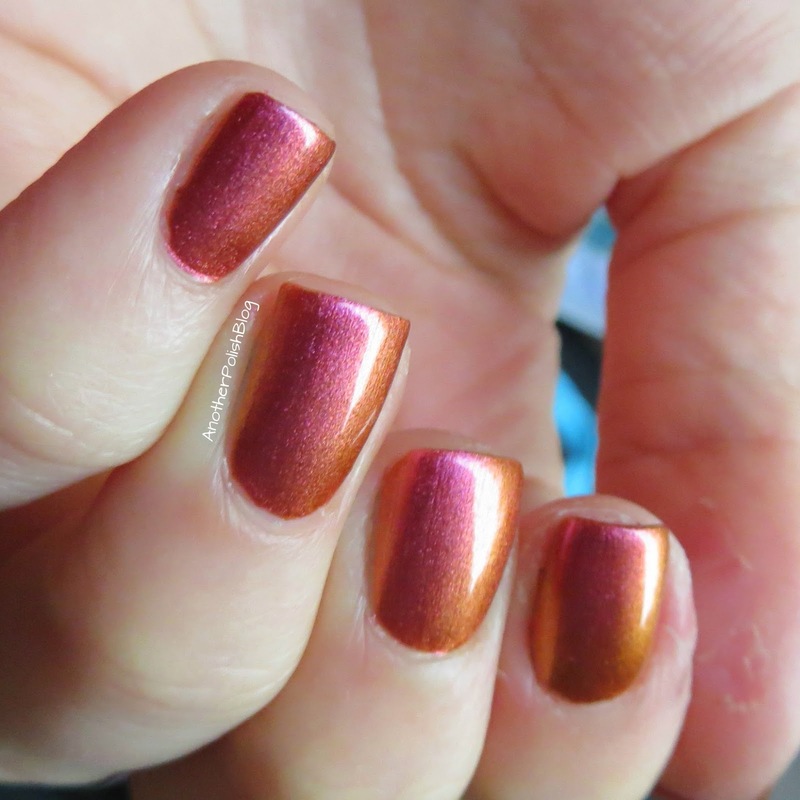 I am very lucky to have my friends thinking of me whenever they see nail polish because they did NOT get this polish in my usual drugstore. Der Lack ist super deckend, ich habe zwei Schichten aufgetragen und das Ganze dann mit einem Top-Coat versiegelt. Die Haltbarkeit ist okay. Sie haut mich nicht um, ist aber auch nicht so miserabel wie bei manchen anderen Lacken. Die neuen Pinsel von Catrice finde ich noch gewöhnungsbedürftig, vor allem da bei vielen die Borsten unangenehm abstehen. Bei dem Preis ist das wirklich schade, denn der Lack hat 3,49€ gekostet, wenn ich mich richtig erinnere. This polish is super opaque. 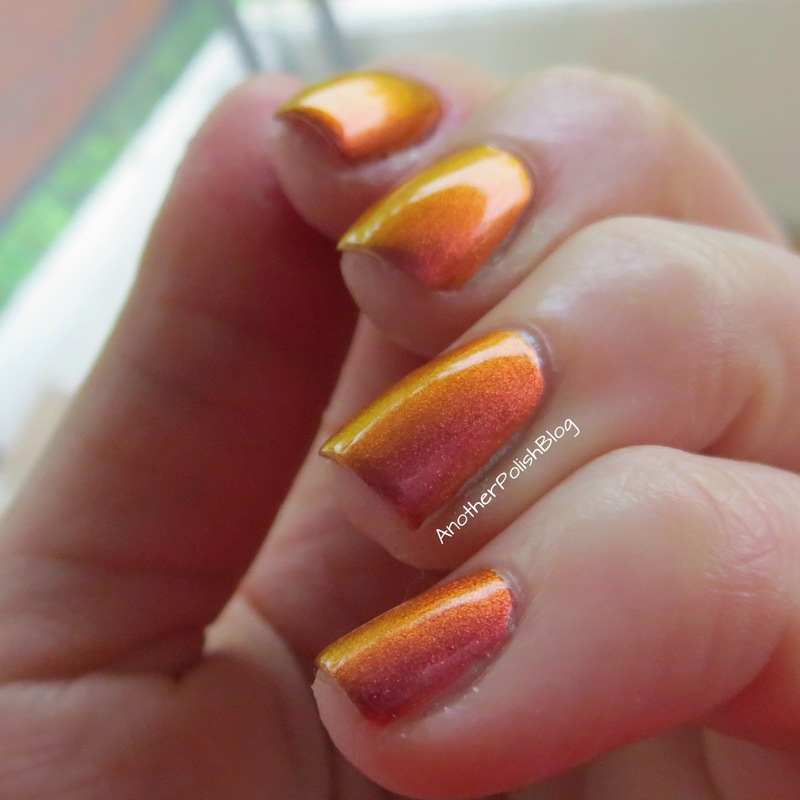 I used two coats and a topcoat. It didn't chip too fast, but it was lifting at the edges after a few days. So the quality is okay, not bad but it could be better. Also I'm not sure what to make of the new brushes they use. Sometimes you can't even apply polish with them because the bristles are standing in every direction. Mine was fine, though. But still, if I pay 3,49€ for a polish I am expecting more. As you can see in the pictures it is shifting from pink to orange, gold and even a bit of green. The colour is always depending on the light. This is so awesome I could stare at my nails all the time! 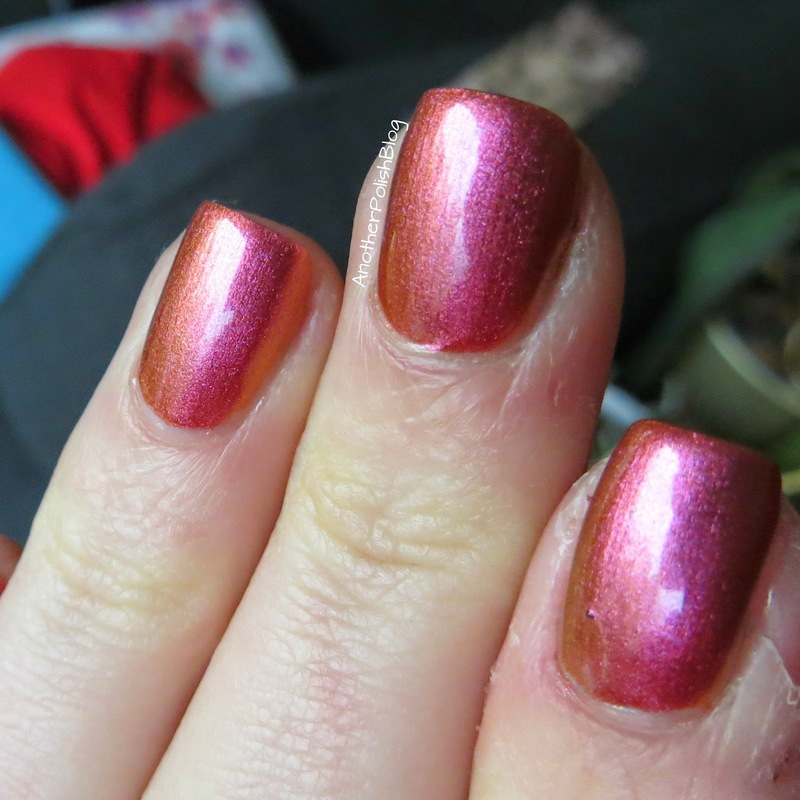 This is definitely a polish I will wear more often! 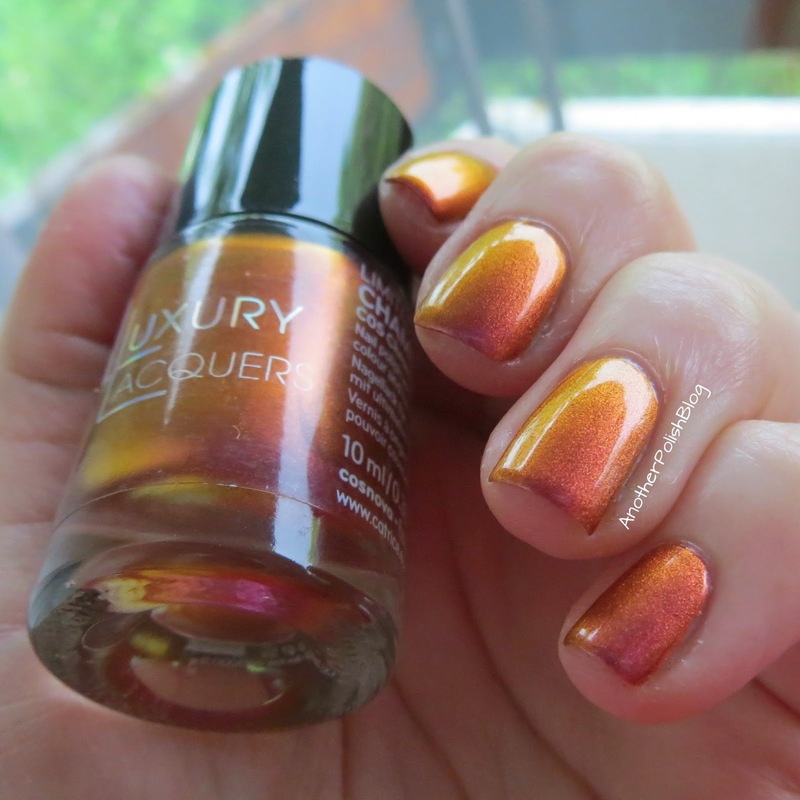 Habt ihr denn einen der Luxury Lacquers gekauft? Wie zufrieden seid ihr? Well, in case you had no chance to get hold of the polish, you can always take part in my giveaway. You'll also have the chance to win Chromeo & Julia in one of the sets! 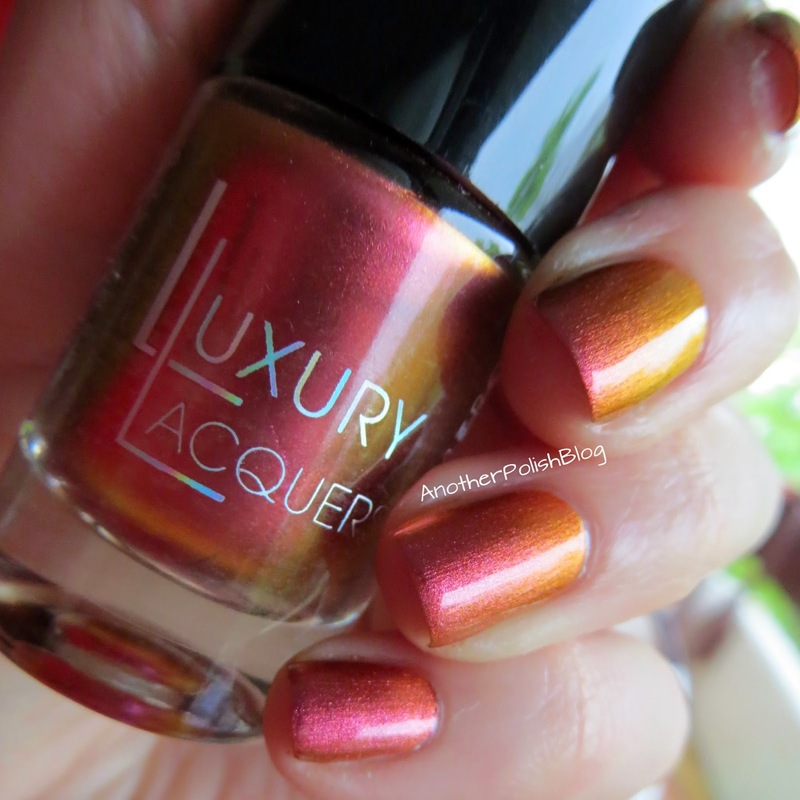 Have you got any of the Luxury Lacquers? Are you disappointed or happy?